Larry Ellison is the fifth richest man in the world according to Forbes. His personal fortune amount to 41 Billion USD, while New Zealand GNP is 132 Billion USD. He spent more than 200 Million USD, packed his boat with Sailing Olympic Medalist from around the world, reinvented the AC boat class in a way small budgets would have never been able to compete, not happy cheated in the AC World Series for a year, and finally even tried to change the rules at the very last moment with the intention to reduce the theoretical gap with his competitors. At the end he made it, probably he is happy. Larry Ellison didn’t win the America’s Cup, he bought it. 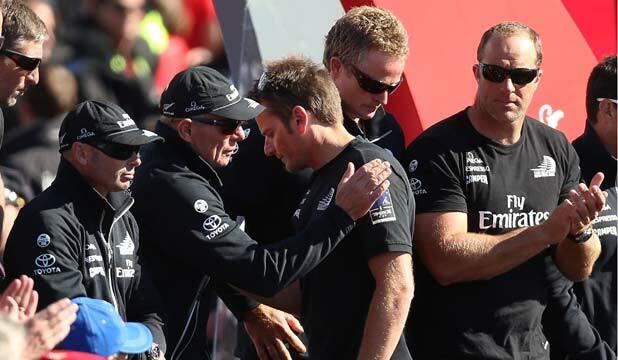 I feel for you Emirates Team New Zealand.